Blue Ridge, Ga. / Ellijay, Ga.
Where better to begin your Blue Ridge journey than the base of those cobalt majesties. Part southern charm, part urbanite sophistication, the town of Blue Ridge, Ga., is quaint and lively, traditional yet contemporary. Tucked in between the Cohutta Wilderness Area (the largest contiguous tract of wilderness in the East) and the Chattahoochee National Forest, Blue Ridge is just a short drive away from some of the state’s most rugged terrain. Start your day on a sweet note with a trip to Mercier Orchards (mercier-orchards.com), Georgia’s largest apple orchard. Consider stocking up on fried pies and fresh apple cider for your afternoon picnic on Lake Blue Ridge. Surf Blue Ridge can get you hooked up with a stand up paddleboard for the day ($40; four hours) and even offers free delivery to the Lake Blue Ridge parking lot to ease your logistical worries. 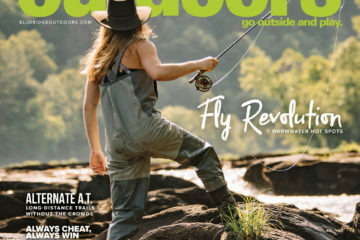 For the avid angler, this lake offers more than stunning scenery—it’s one of the few bodies of water south of the Great Lakes where walleyes swim aplenty. As the sun sets over the mountains, wind down with a pint from Blue Ridge Brewery (blueridgebrewery.com). You won’t have to go far to check into your room at The Fernbrook Inn (rooms from $149), so stay out, catch some tunes at the pub, order another pint (or two), and let that Georgia magic do its work. The sweet and savory smells of French toast and sausage wafting under your door will be sure to have you up and at it early the next morning (assuming you didn’t close the brewery down). Eat a hearty breakfast at the inn. You’ll need all the calories you can get. And bike tubes. If you don’t have a spare, swing in at Cartecay Bike Shop as you pass through Ellijay, the “Mountain Bike Capital of Georgia.” If nothing else, Cartecay’s owner Mike Palmeri is a local legend and is sure to offer some entertaining conversation and a tip or two on where to ride. Don’t dawdle long, for the Pinhoti Trail awaits. 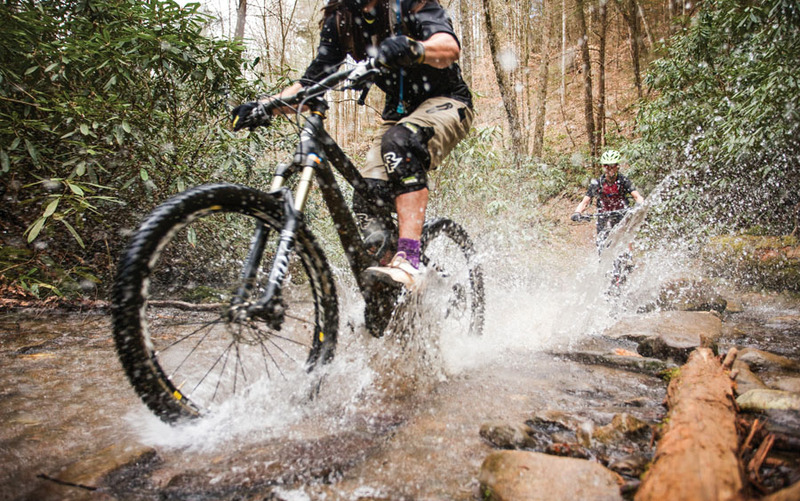 Stretching for over 300 miles from Alabama to northern Georgia, the Pinhoti is quickly gaining a reputation among mountain bikers for technical terrain with an unparalleled wilderness feel. 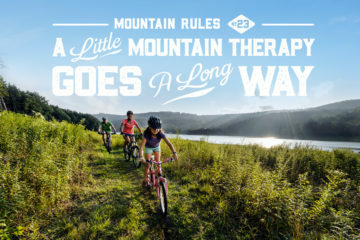 Roughly 140 miles of the trail wind through the northwestern corner of Georgia, and the fine folks at Mulberry Gap Mountain Bike Get-A-Way are more than happy to help you find the perfect ride. Be forewarned—you can ride, or run, from your cabin door (starting at $83 per night) or tent flap (sites from $10 per night) at Mulberry Gap, but don’t bank on a warm-up. Straight from the gate, you’ll be climbing up those steep mountain ridges that looked so idyllic and tranquil from the lake. 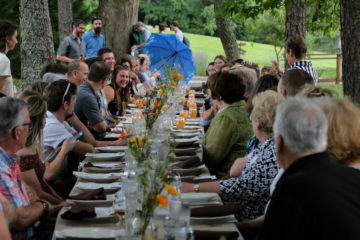 If you’re trying to squeeze in more than one section of the Pinhoti (or simply want to spare your legs), the crew at Mulberry Gap will shuttle you to the top (rates from $15) so you can rip it downhill and be back in time for the family-style dinner that’s served every night in the barn. Ginni, the resident guest-mother and mastermind chef, will leave you so full on beef brisket and fresh salad, you’ll have to loosen the belt before you hop on a mini-bike for a round of mini-bike-Jenga. No, I’m not kidding. And yes, mini-bike-Jenga is real. As in, real hard. YOU KNOW YOU’VE EXPERIENCED NORTH GEORGIA LIKE A LOCAL IF: You can drift around the corners on a Forest Service road. After inhaling a plateful of Ginni’s pancakes, you’re ready to head north. Next stop, Chattanooga. The hour-and-a-half drive to Tennessee begins on GA-52, which snakes through the Chattahoochee National Forest and offers plenty of overlooks to break up the trip. So stop, smell the pine trees, soak in the views, snap a selfie. Then it’s onward to Nooga, a metropolis compared to that sweet southern pace you’ve been living in Georgia. Squeeze the last juice from your legs at Raccoon Mountain , a short 15-minute drive from downtown Chattown. Ride, run, or simply stroll along the 22-mile trail system. Mountain bikers should be prepared to work for their ride, as only four miles of the trails are considered beginner friendly. The remaining 18 miles of singletrack are speckled with four- to six-foot drops, tight switchbacks, and overall steep terrain. But when you see the sweeping views of the Tennessee River Valley below, you’ll know those gallons of Southeast sweat dripping down your back were worth it. And if the views didn’t drop your jaw, the southern fried goodness afterwards at Champy’s Famous Fried Chicken surely will. Baked beans and slaw, hush puppies and sweet tea, piles of chicken and Mississippi mud pie. Styrofoam plates and checkered tablecloths never looked so good. Your lodging for the next two nights is just around the corner at The Crash Pad: An Uncommon Hostel. 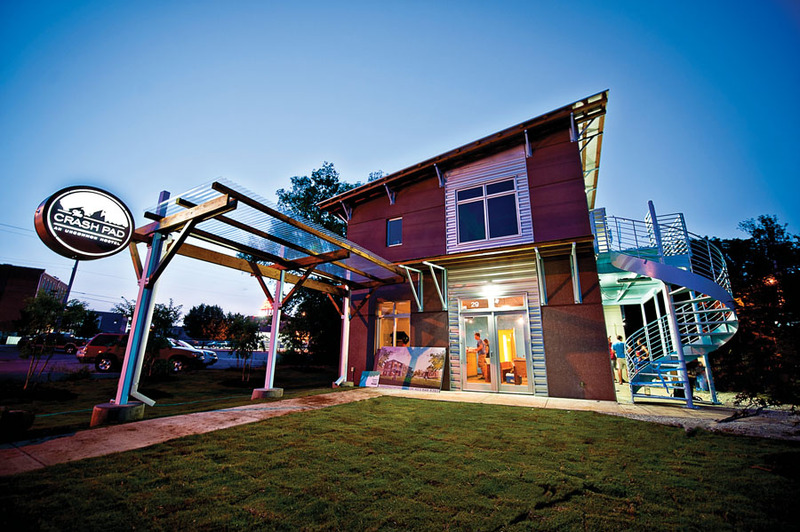 Founded by the same team as Flying Squirrel, The Crash Pad is an upscale, LEED Platinum hostel (the only one of its kind) that offers guests everything from super bunks ($30 per night) to private rooms ($79 per night). The best part? The owners of the hostel are avid climbers and can point all you rock hounds in the right direction. Sweltering summers in the South make it downright necessary to be an early riser—you can sleep when you’re dead. Grab a bag of handmade croissants or oven-fresh cinnamon rolls from Niedlov’s Breadworks and put the pedal to the metal. 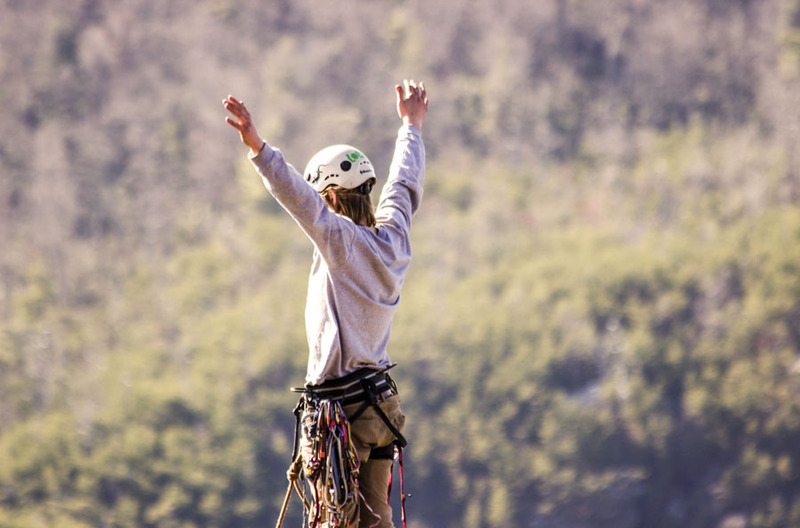 Rock climbers can head to any one of the area’s crags like Foster Falls, a sport climbers’ haven, or Tennessee Wall, which provides trad lovers with everything from clean, 100-foot arêtes to bold face climbs. The Stone Fort, formerly known as Little Rock City, is the closest major bouldering area close to downtown Chattanooga and is the site for one of the now four Triple Crown Bouldering Series events in the fall. But if climbing’s not your thing, take a hike and cool down at Cherokee Falls and Hemlock Falls in Cloudland Canyon State Park. Though technically still in Georgia, this state park is just a half hour’s drive from Chattanooga and the sights are worth it. The out-and-back Waterfalls Trail packs a punch in just two miles, dropping over 400 feet to the waterfalls via a steep stairway system. Wouldn’t it be nice if there were waterfalls at the top of those stairs, too? And if the weather simply is not cooperating with your stay, Chattanooga’s got you covered, literally. But instead of catching a movie, surfing the web, or doing laps at the Tennessee Bouldering Authority, might I suggest a total change of pace? Embrace your inner child and head to The Jump Park for a day. You can toss yourself into foam pits, test your balance on slacklines, and jump yourself silly on over 50 connected trampolines. Just don’t eat too many cinnamon rolls before you go. PLACE TO PARTY ON A TUESDAY: Flying Squirrel. Half priced wine night. Full disclosure: Crash Pad and Flying Squirrel are owned by the same guys. YOU KNOW YOU’VE EXPERIENCED CHATTANOOGA LIKE A LOCAL IF: You march into the stadium with the Chattahooligans at a CFC game. Linville Gorge / Boone, N.C.
Hit the road before dawn as you make the long, five-hour haul from Chattanooga to the heart of western North Carolina. You can take a slightly shorter route up through Knoxville to your next destination, the Linville Gorge Wilderness, but if you prefer to avoid the mayhem and stress of interstate driving, head east on US-74 through scenic stretches of quiet Appalachian towns. 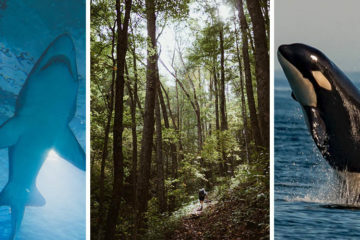 As you curl through the Smokies, you’ll pass kayakers and rafters navigating the waters of the Ocoee and Nantahala Rivers, which run roadside for the first leg of your trip. When you pop out on I-40, you’re just a half hour from Asheville, a city famed for its exploding craft beer scene. You could stop and get tanked at any one of Beer City USA’s 40-plus breweries, but alas, the mountains are calling and you must go. Of course, there’s no harm in grabbing a half pour over lunch at Wicked Weed Brewing. Once safely sober, continue your voyage northeast to one of the most iconic destinations in North Carolina—Linville Falls. Park at the Linville Falls Visitor Center and follow the Linville Gorge Trail down to the river. This out-and-back hike is just shy of two miles round-trip, but the going is steep, so proceed with caution. Swimming is not permitted at the base of the falls, so no dips in the pool, no matter how tempting it may be. 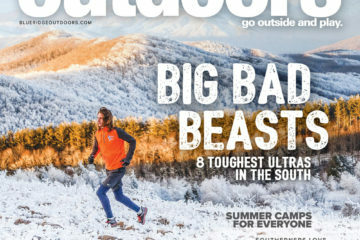 Should the beauty of the Linville Gorge enrapture you, there’s a campground just up the road to satisfy your wild hair. The Linville Falls Trailer Lodge & Campground has a number of options for bunking up, from primitive tent sites ($20 per night) to log cabins (from $60 per night). This leaves the Linville Gorge within quick driving access so you can spend a full day exploring caves, off-trail bushwhacking, or trad climbing to your heart’s content. In the event that you decide to continue on down the road after your Linville Falls hike, the town of Boone, N.C., is roughly an hour away. Thanks in part to the local university, there’s a youthful, energetic vibe about Boone that makes for an active outdoors scene and an eclectic art community in the heart of Appalachia. 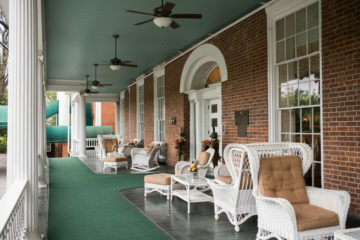 Check in at the Lovill House Inn (rooms from $139) for a homey stay conveniently located off the Blue Ridge Parkway and less than a mile from Old Town. Fuel up at Proper for homemade southern food done right. There’s a different special every day, like meatloaf or pulled pork, but even vegetarians will find a bowlful of Proper’s mac n’ cheese filling and delicious. Grab your walking stick as you head out the door the next morning—Grandfather Mountain and Elk Knob are two of North Carolina’s newest state parks and both provide impeccably well-maintained trails leading to spectacular views of the North Carolina High Country. The Profile Trail on Grandfather Mountain traces the “profile” of the old man for whom the state park is named. Hikers can expect to see lush hardwood forests and unique rock features along the three miles to the summit. The hike to Elk Knob is not quite as steep and slightly shorter at 3.8 miles round-trip, so be sure to make time to soak in its panoramic views. Mountain bikers and trail runners seeking an adrenaline fix can head over to Rocky Knob Mountain Bike Park to peruse the park’s eight miles of technical trails. Rocky Knob also has four skills areas and a pump track so you can fine-tune your technique before your next ride. At the end of the day, Appalachian Mountain Brewery is certain to have a beverage to quench your thirst — IPAs, stouts, ales, even its very own cider. You can feel good about what you drink, too. For every pint you purchase, the brewery donates to a non-profit organization through the Pints for Non-Profits Program. YOU KNOW YOU’VE EXPERIENCED BOONE LIKE A LOCAL IF: You’ve been caught unprepared by the weather. Staunton, Va. / Harrisonburg, Va.
You’ll have to say “adieu” to that high country paradise in between forkfuls of your locally sourced breakfast from Melanie’s Food Fantasy (melaniesfoodfantasy.com). There’s about a four-hour drive ahead of you through most of the state of Virginia, but don’t worry—you’ll have a chance to stretch those legs upon arriving at Saint Mary’s Wilderness. The roughly 10-mile hike through fern forests and alongside the Saint Mary’s River make this wilderness trek a cool way to spend a summer day. The cherry on top is the waterfall located about five miles from the car. It’s a popular place to take a dip and the base is deep enough for a jump from the rocks above, if you dare. After the hike, continue north toward Staunton, a town where art and agriculture are seamlessly intertwined. Share an exquisitely cooked southern meal at The Shack, an unassuming brick building where visitors can indulge in warm butter lettuce salad and maple quail. The cozy, one-room atmosphere immediately turns strangers to family, as the 26 non-matching chairs available are seated around seven communal-style tables. Shack up for the night at The Storefront, a private two-floor space that’s part B&B, part townhouse. Located in the heart of Staunton’s historic district, you’ll be within walking distance to a number of stores and restaurants, but with all the amenities of your own home, including a full kitchen, you may never want to leave. At this point in your travels, if you haven’t let the road be your guide, it’s time to do so. And not just any road, mind you. The Blue Ridge Parkway. This 469-mile ribbon of pavement traverses the Blue Ridge from just outside of Cherokee, N.C., all the way up to the parkway’s northern terminus at Rockfish Gap, just 20 minutes outside of Staunton. It is arguably one of the best Sunday (or Monday, or Thursday) drives you can take, but if your eyes are growing weary, you can park at any number of trailheads and just start hiking. The Appalachian Trail crosses the parkway a number of times, making it easy to hop on the white blaze and walk until your legs scream. But for a hike with a view, try Humpback Rocks at milepost 5.8. The hike is only one mile one way, but don’t be fooled—that’s one mile straight uphill. There are benches along the way and the trail is wide and mostly gravel, so take your time and savor the burn. 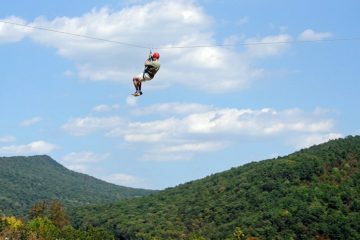 Once you see the 360-degree views of the surrounding Shenandoah Valley, you’ll be glad you persevered. Spend the remainder of your afternoon exploring Harrisonburg, Va., just 45 minutes up Interstate-81. 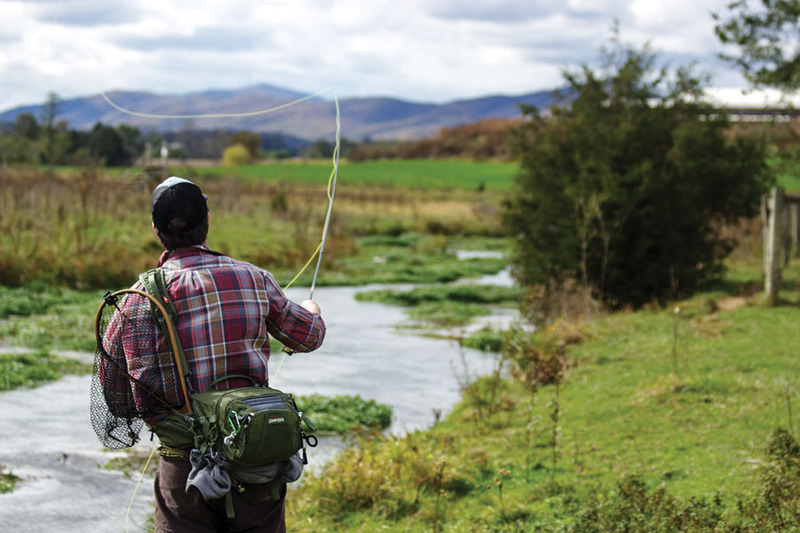 If pastimes like window shopping and people watching are not your cup of tea, grab your rod and head to the pristine waters of Mossy Creek, just a few minutes from where you’ll be staying at the Old Massanutten Lodge (rooms from $140). 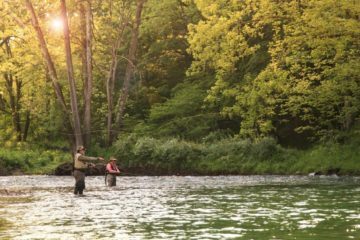 You’ll need a license to fish at this classic limestone creek, in addition to a signed landowner permission card, so unless you happen to frequent the area regularly, consider going with Mossy Creek Fly Fishing under the guidance of the outfitter’s Orvis endorsed instructors. Even experienced anglers stand to learn something from these local experts. Size up your Virginian experience with a farm-to-table pizza made from scratch at Bella Luna Woodfired Pizza and a pint of The Great Outdoors Virginia Pale Ale from Brothers Craft Brewing located right in Harrisonburg. FAVORITE ACTIVITY OFF THE MOUNTAIN: Eating delicious local veggie foods from the downtown farmers market and Friendly City Food Co-Op. Charles Town, W.Va / Harpers Ferry, W.Va.
Road trips can no doubt induce exhaustive efforts to see and do as much as possible in the short spell of vacation time you’re granted. It’s called a “Fear of Missing Out,” or FOMO. Though FOMO can be harnessed for motivation, it can also contribute to what I call the “burn out phase,” where the idea of sitting in your hotel room and watching cable all day sounds more appealing than getting sunburnt and asking for directions. Fortunately, the relaxed vibe of Harpers Ferry can rejuvenate your traveler’s spirit. Just a stone’s throw over the Virginia line at the confluence of the Shenandoah and Potomac Rivers, Harpers Ferry is as charismatic as it is historic. Stroll along the picturesque cobblestone streets and tour the museums in town, or head to the hills immediately upon arrival. The Chesapeake & Ohio (or C&O as it is mostly referred to) Canal Towpath connects Washington, D.C., to Pennsylvania via an old trail nearly 185 miles in length. The 10-plus miles heading upstream out of Harpers Ferry are like riding back in time. Bring your bike and see how far you can go or rent a ride from River & Trail Outfitters (from $21). The folks at the outfitter also offer guided services as well as shuttles along the C&O. Of course, should you prefer to travel by two feet instead of two wheels, Harpers Ferry also serves as the headquarters for the Appalachian Trail Conservancy (ATC) and the not-quite, unofficial halfway point on the Appalachian Trail. You can head north on the A.T. right out of town and reach a short side trail in about a mile that leads to striking views of Weverton Cliffs. Keep on walking to Maine if the blaze speaks to you, but otherwise it’s probably time to find a place to hole up for the night. Lodging options range from any one of the historic bed and breakfasts like the Laurel Lodge (laurellodge.com; rooms from $135) to dirt-cheap (as in free) camping along the A.T. If you’re not wanting to work for your campsite, the Harpers Ferry Campground (sites from $29) is tucked right into the folds of the Potomac and offers front door access to tomorrow’s adventure: rafting. That’s right. Get ready to go big. Cool off on your last day in the wild and wonderful state with a little dose of West Virginia whitewater. River Riders offers a number of options for getting on the river, whether it’s in a guided raft or your very own inflatable kayak. The Potomac’s mild class I-III rapids are the perfect place to play and learn the basics of paddling. Should you get frustrated because your duckie doesn’t want to stay in a straight line, or because you fell out of the raft five times, there’s nothing a little West Virginia hooch can’t fix. Stop in at the Bloomery SweetShine, the only distillery around, for a little post-paddle “artisanal blend of vice and virtue” in nearby Charles Town, W.Va. You probably worked up quite an appetite on the water, too. 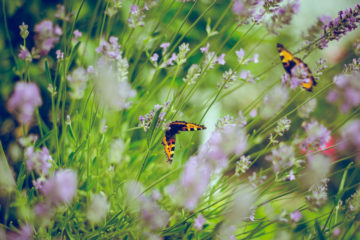 Cure that with a trip to Dish and scarf down a locally sourced, grass-fed burger or black bean burger, maybe a scoop or three of ice cream back in Harpers Ferry at Scoops, and call it a day. Your last adventures start in the morning. YOU KNOW YOU’VE EXPERIENCED HARPERS FERRY LIKE A LOCAL IF: You can say you’ve stood in three states and two rivers at the same time. 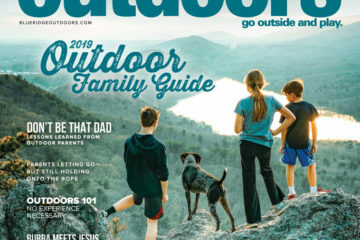 Michaux offers more than 90,000 acres of big trees and vast views, frigid waters teeming with trout, and over 60 miles of technical, rocky trails just begging to be explored. Whether by horseback, by foot, or by wheel, Michaux State Forest could quite literally be heaven on Earth. Of the 60 miles available to hikers, 37 of those are designated multi-purpose trails that allow mountain bikes, and for even the most experienced of riders, Michaux is sure to provide a challenge. In conjunction with the 130 miles of maintained gravel roads that weave throughout the forest, the possibilities for loops and levels of difficulty are endless. As you make your way to the northernmost stretches of the Blue Ridge Mountain range, cruise over to Gettysburg Bicycle to get all of your gear and beta needs. Michaux State Forest has a core group of riders who maintain a blog, Mountain Bikers of Michaux, and regularly hold group rides that are open to novice and experienced riders alike. Due to the occasional unmarked trail and wilderness feel of the forest, first-timers should consider trying to arrange a guided ride, either through the community or by tagging along on a shop ride Thursday nights at 6 p.m. But perhaps you’re not a singletrack ripper. Roll up your pant legs and go creek walkin’ down the East Branch of the Conococheague Creek or either branch of Antietam Creek. Both of these streams are well stocked with trout and the gettin’s good, even if you’re not an angler. For your last night on the road, take the rainfly off the tent, heck maybe even do away with the tent altogether, and lie out cowboy-style under the twinkling night sky—you have plenty of memories to keep you pondering and stargazing well into the wee hours of the morning. Though Michaux State Forest requires a permit for camping, it’s free and easy to acquire from the visitor’s center. Primitive campsites are sprinkled throughout the forest but a few established ones with bathrooms are located with easy access to your car. Rise in plenty of time to catch the sunrise an hour and a half away atop Blue Mountain at Waggoner’s Gap. Located at the edge of the Tuscarora State Forest, this 125-acre parcel of land is owned by the Audubon Society. Expert bird watchers frequent the summit here for its spectacular hawk sightings. Make sure to bring a thermos of French press and some nutrition bars for the dawn patrol, but don’t worry about needing too much energy for the hike—the parking lot is just a 500-yard stroll from the overlook. So. No excuses. After satisfying your sunrise-hawk-watching fix, hit the state forest’s namesake, the Tuscarora Trail. Pennsylvania is revered for its rocky terrain, and this trail certainly keeps in jive with the reputation. Running for over 250 miles from Virginia through Maryland and up into Pennsylvania, the Tuscarora Trail was created as an alternative route for the Appalachian Trail yet has always remained an independent footpath. This six-mile section is known as one of the rockiest chunks of the Tuscarora, so wear sturdy shoes. You’ll head south for six miles from the Waggoner’s Gap parking lot to Flat Rock at the southern end of the state forest. A blanket of Pennsylvania countryside wraps around the Flat Rock overlook, giving visitors a 180-degree view of the Cumberland Valley and all of its charm. Hike on for a longer day, or head back for a roughly 13-mile out-and-back trip. This section also makes for a moderately intense trail run if your legs still have any life left in them. Let your taste buds wander beyond the Blue Ridge at any one of Carlisle’s worldly restaurants. You can of course get your traditional plate of mac n’ cheese and barbecue at Redd’s Smokehouse BBQ but why not explore Belgian cuisine at Café Bruges or drink your weight in sangria at the Spanish and Moroccan tapas restaurant Andalusia? 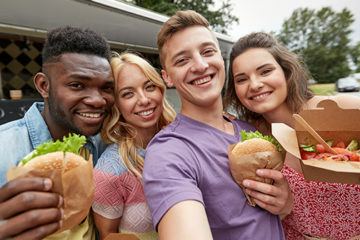 There’s a lot to celebrate, and who knows—maybe your culinary instincts inspire your next road trip. So kick back and order another round. You’ll need some liquid courage for your last adventure: the half-gallon challenge. 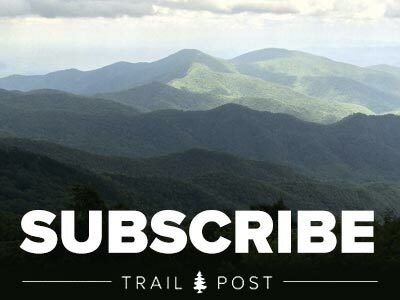 Sure, about 99% of the club is made up of past or present A.T. thru-hikers, but it’s okay. You worked hard for it.